Episode 22 features our good friend Kendrick Sampson, star in the brand new season of Insecure on HBO. While he is building an impressive acting career, he is also one of the most “woke” artists in Hollywood. He is both an artist and activist, or what we like to call an “Artivist”. We’re also covering updates on the upcoming Global Climate Action Summit and People’s Climate March for Climate, Jobs, & Justice in San Francisco this September, the Trump Administration’s new “Dirty Power Scam”, and thirteen years after Hurricane Katrina. 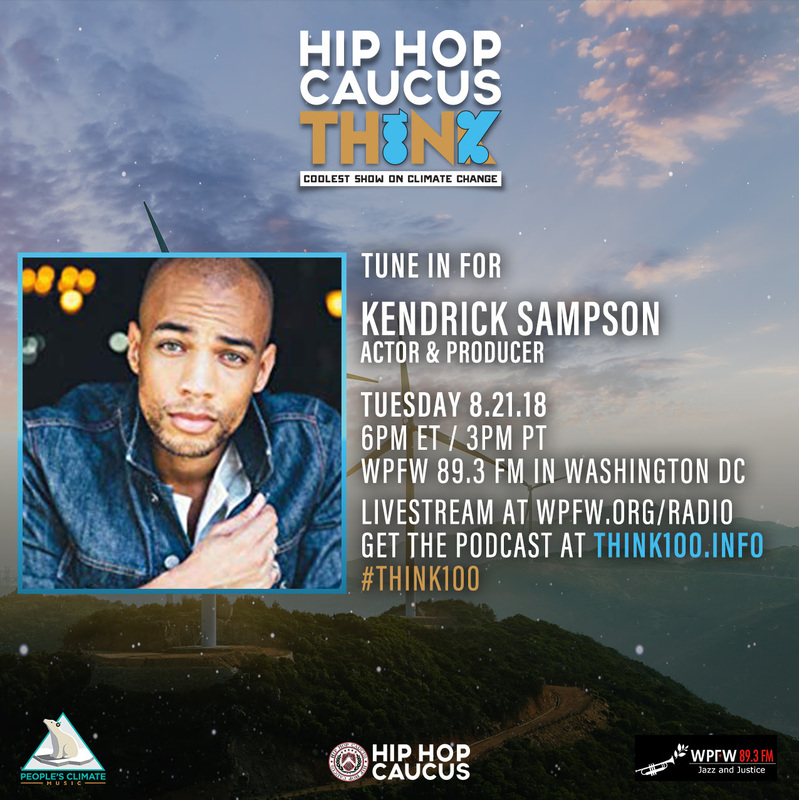 THE GUEST: Kendrick Sampson’s artivism is not just online; he’s helping lead the movement for solutions to injustices facing our communities including unjust immigration, policing, and criminal justice systems, lack of access to clean air and water, and disproportionate impacts from climate change. You can find him on the ground in communities, and at rallies and mass mobilizations, standing side by side with real people in the struggle. In 2016, he joined Hip Hop Caucus at Standing Rock to stand in solidarity with the Water Protectors fighting against the Dakota Access Pipeline. Be sure to follow him on Twitter and Instagram to keep up with his career and activism (@Kendrick38).